LED recessed downlights are the newest item that is in demand when it comes to modern house lighting. Ceiling spotlights are something that can look extremely attractive as well as can change the overall look of your room. If you ask our professional opinion, we believe that LED recessed downlights should be in each room of the house. Why? Because these lights carry a dual purpose and perform in perfection in terms of producing ample light as well as a serene environment. Hence, we always suggest to look to use downlighters all across the rooms. Ceiling spotlights are incredibly amazing as far as the look they provide and their functionality. It is important that we also look at the feasibility of installing them. As these are recessed downlights in the first place. Of course, one would always need a qualified electrician to install them to achieve maximum efficacy. Our designs are visually appealing and can do wonders as far as the look of your room is concerned. All our designs are specially designed to cater individual as well as generalized needs. The thing is, visually aesthetic designs go very well with the overall look of a room or a TV lounge. We have a wide range of designs and you will have enough options to decide what you really like. LED recessed downlights come with excellent LED technology which has time after time proven to be extremely effective. Regular bulbs just do not stand out anymore as they can stop working just about anytime. On the contrary, LED recessed downlights come with a life of 20,000 hours which is unmatchable as far as a regular bulb is considered. Plus, LED technology makes these LED downlight fittings visually more appealing. These light are great if you use it in your homes. But one cannot forget that commercial usage of these lights is a possibility too as they work exceptionally well. We have supplied LED recessed downlights to hotel chains all over the UK. And believe us, it can really change the way hotels appear to potential customers. Then again, these lights look beautiful when used in a commercial setting. All our stock is exclusively modern and sleek. 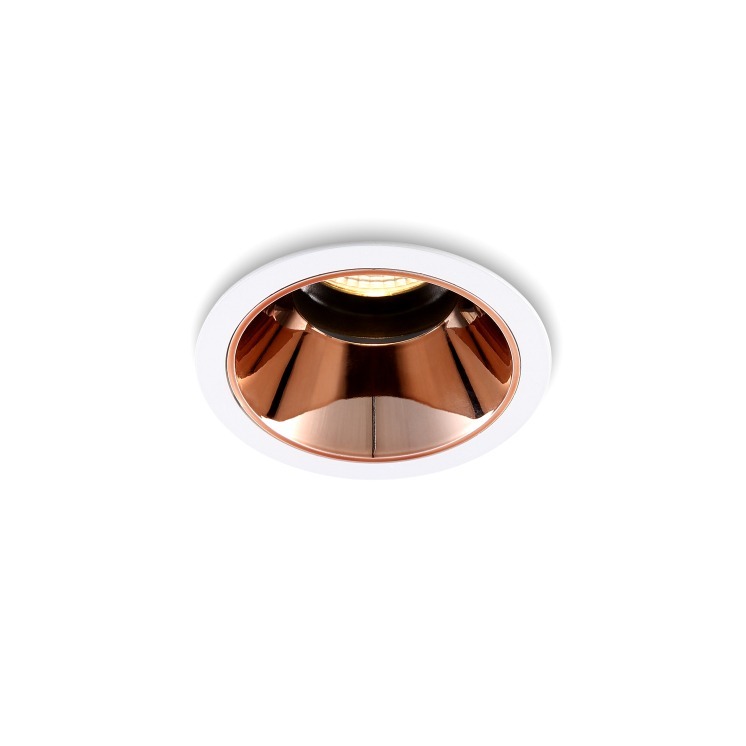 We offer a lot of variety but essentially all the LED recessed downlights come in a modernized look. We prefer to make the statement that modern lights are better than traditional styled lights. The fact is, that people nowadays are always looking for ways to make their houses modern. And this is exactly what you will be getting from us. Some of the other benefits that make LED recessed downlights worth the investment. Is the fact that it comes with a 3 year guarantee. This fact makes it much more appealing because there is no risk involved. All you have to do is to select a product that suits your needs. And we will handle it from there. LED Recessed Downlights – A Wide Variety What Do You Choose?